The first picture show how not to fit guttering, who ever fitted this has tried to save money on everything. The brackets are two far apart and they are screwed to a thin uPVC fascia panel which has distorted under the weight, look to side of house. The brackets should be no more than 1000mm apart but if an area of heavy snow fall should be reduced to 750mm apart, they should be screwed with high quality screws to a suitable fascia board etc. that can take the weight of the gutter and rain water or snow. 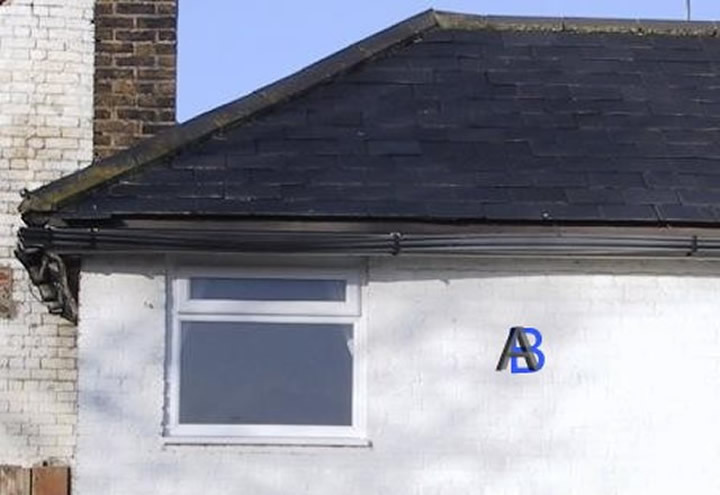 TThe gutters end stop should over hang the last tile by 50mm to collect water blown by the wind, the gutter can be installed level but I would recommend a slight fall about 1 in 100 but no more than 3 in 100, this will prevent water laying in gutter and finding leaks in joints. It is best to use Silicone Lubricant on the seals to prevent annoying expansion and contraction noises and an expansion gap of approximately 6-10mm between joints. 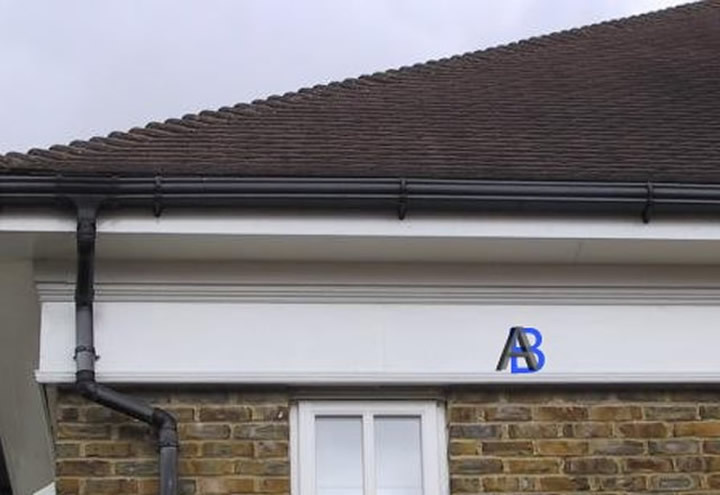 Below is a well fitted gutter which looks right.